Scott McClelland, president, H-E-B Houston division, at the podium at the ribbon cutting and media preview of the new Bellaire H-E-B. 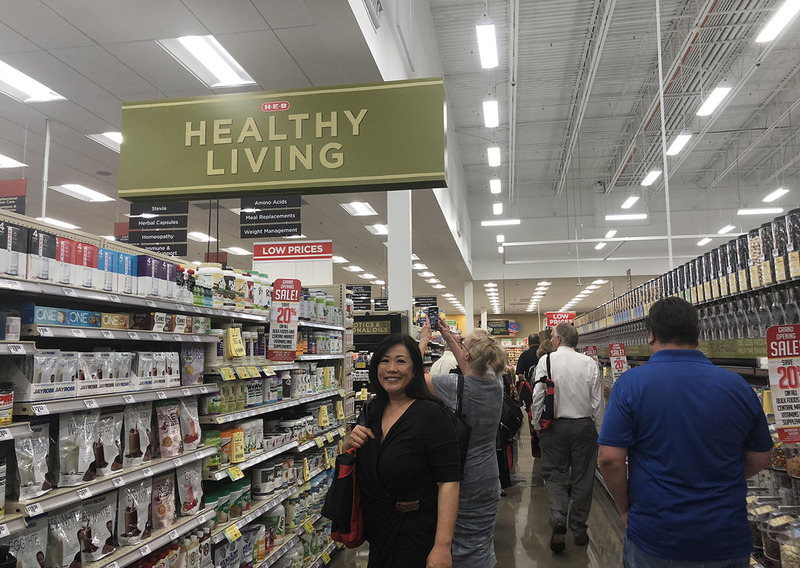 H-E-B Bellaire Market, the first local, multi-level store, will open to the public Wednesday, June 27 at 6 a.m.
“H-E-B believes in giving back to the community,” said Scott McClelland, president, H-E-B Houston division, at the media preview. During the preview event, the retailer did just that by recognizing and donating to two local causes: Nature Discovery Center and nonprofit Undies for Everyone. Henry Owen, executive director of Nature Discovery Center, and Julia Hayon, Director of Operations at local nonprofit Undies for Everyone, were both surprised and thrilled to be recognized, and appreciative for the donation. Julia Hayon, Director of Operations at local nonprofit Undies for Everyone, excited for the new Kosher section in the H-E-B Bellaire Market. The store, located at 5106 Bissonnet St., doubles the size of the original location at 78,000 square feet and includes two levels, covered parking, elevators and escalators. As shoppers use the escalator, they’ll enjoy an interactive light installation called Blue by You by Texas artist Ansen Seale. At the new store, you’ll find products and offerings such as: H-E-B Curbside; a large selection of Kosher items; organic options; the full line of H-E-B Meal Simple heat and eat options; a large assortment of Texas-made products; Prime Case Butcher Shop; a fully-stocked Healthy Living department; a full-service pharmacy with drive-through access; full-service seafood department; wine and beer selection (samplings in store!) with an emphasis on Texas craft and hyper local craft, including four kegs on tap; a full-service Scratch Bakery and Tortilleria; H-E-B Floral; Cooking Connection and the Showtime Kitchen (live demonstrations and daily samplings) and more. 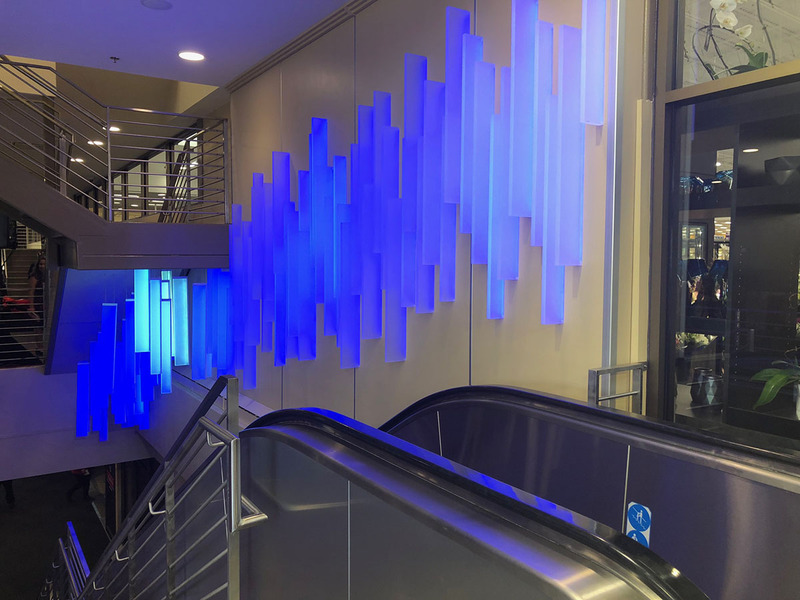 This is what shoppers will see as they use the escalators – the art installation Blue by You by Texas artist Ansean Seale. Buzz resident Lea Weingarten, Principal of Weingarten Art Group, connected Ansen Seale to H-E-B. Also, look forward to The Roastery, a coffee shop and eatery with indoor and outdoor seating, coming soon. Welcome to the neighborhood, H-E-B Bellaire. Scott McClelland, president, H-E-B Houston division, with Dai Huynh, Buzz dining columnist, at the media preview event. 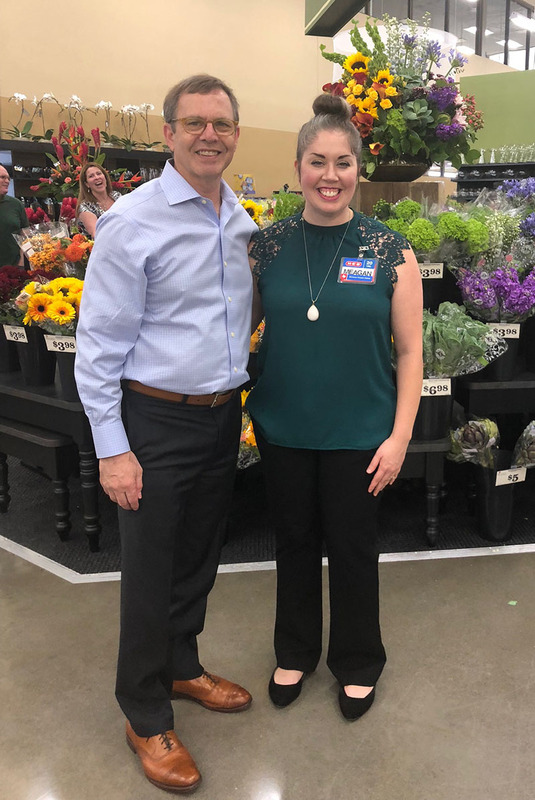 Scott McClelland, president, H-E-B Houston division, with Buzz editor Joni Hoffman at the media preview of H-E-B Bellaire Market. Michael Hoffman with Meagan Williams, Area Community Coordinator at H-E-B. Meagan is the contact for community nonprofits, schools or local organizations seeking donations. Meagan is excited to hear from you: s6878c@heb.com. Hugh Sintic, Top Store Leader at Bellaire H-E-B, cut the ribbon next to Bellaire Mayor Andrew Friedberg and other community and store leaders. The new H-E-B Bellaire Market opens to the public June 27. Buzz dining columnist Dai Huynh checking out the Healthy Living section. Buzz editor Joni Hoffman excited to spot her favorite, refreshing drink – Topo Chico. 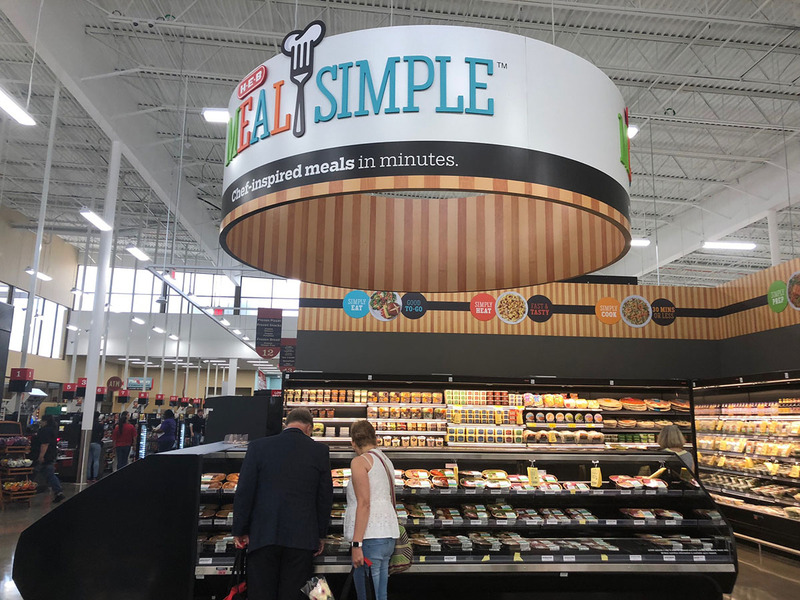 H-E-B Bellaire Market will offer the full line of its H-E-B Meal Simple heat and eat options. Buzz publisher Michael Hoffman and Buzz editor Joni Hoffman checking out the Wine and Beer section – time to toast to a new H-E-B in the neighborhood. Julia Hayon, Director of Operations at local nonprofit Undies for Everyone was surprised and thrilled when the nonprofit received an unexpected donation from H-E-B at the media preview. 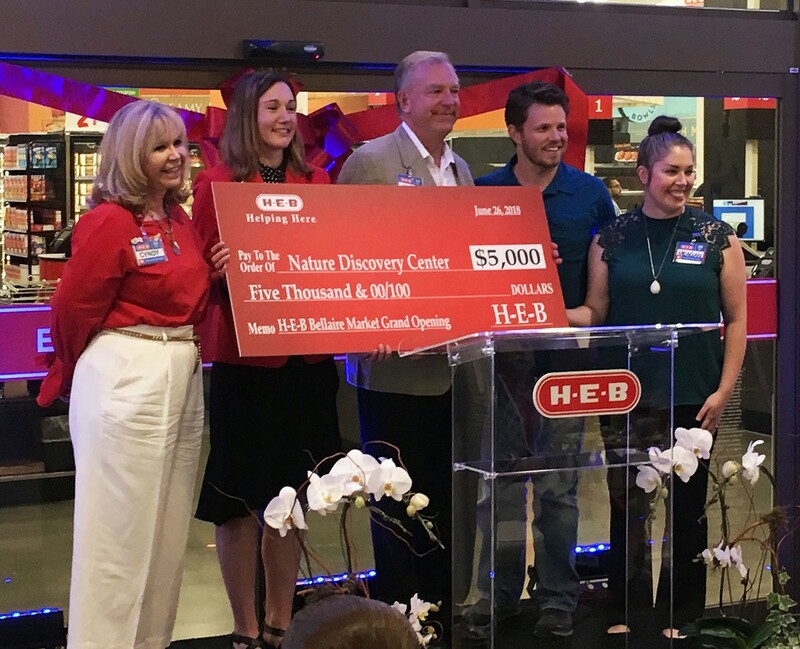 H-E-B gave a donation to Nature Discovery Center in Bellaire during the ribbon cutting and media preview. View from The Buzz office: This is what The Buzz team sees when we peek out the window. 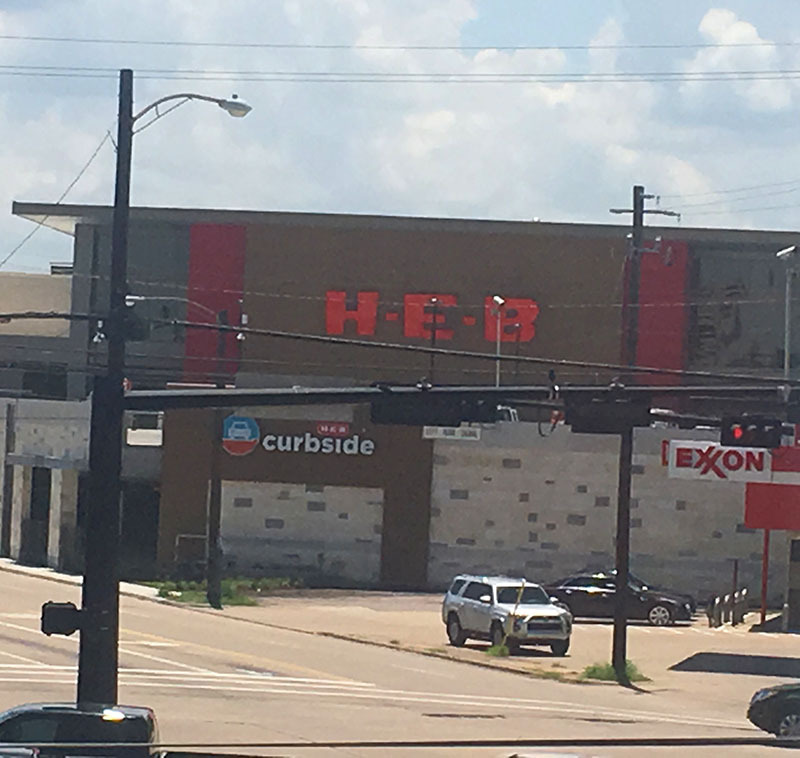 We’ve all been buzzing about the new H-E-B for a long time!